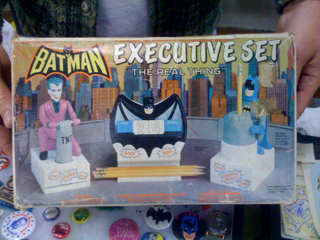 For the toy loving executive who has everything, today I bring you a Batman executive desk set to inspire envy around the board room. 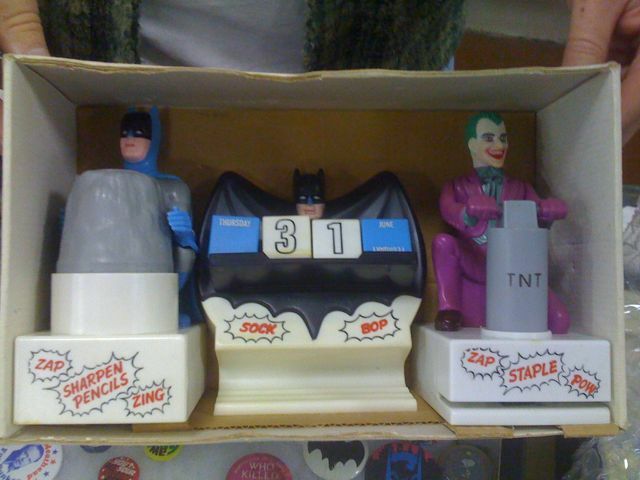 Included is a Joker stapler, a Batman pencil sharpener, and a Batman calendar/card holder. I am currently working out of my garage or I would have bought it to impress my office mates.